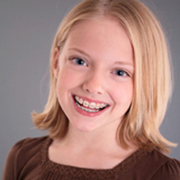 Our pediatric dentist is trained to treat kids from the time they are born until they reach the end of adolescence. Dental development in children, including eruption of baby teeth and permanent teeth, is monitored by our dentist to promote a lifetime of good oral health. If dental problems such as tooth decay develop, our dentist is prepared to put children at ease during restorative treatment. Our dentist completed extra training following dental school in order to specialize in this field. Our kids dentist in San Pedro provides several important services for young patients, including education, growth monitoring, prevention and intervention. By educating kids and parents on the importance of good oral habits, our dentist helps them reduce risks of childhood dental problems. Growth monitoring identifies developmental problems so that early correction can be pursued if necessary. Prevention involves treatments as well as avoidance of potentially damaging habits, such as mouth breathing. When necessary, interventions such as mouth guards or reconstructive surgery can be used to resolve issues such as teeth grinding and bite irregularities. Our San Pedro kids dentist provides a comfortable environment, improving compliance so that kids enter adulthood with good oral health. Everything from education to intervention is offered to address the unique dental needs of children. To learn more about how our services support childhood dental health, parents can schedule a consultation with our kids dentist in San Pedro.